I was so excited to shoot this maternity session with Caroline and her hubby as they wait to meet that little boy or girl thats been cooking for 8 months now! They are waiting to find out if its a boy or girl and a have a boys named already picked out if it is indeed a little man in there. 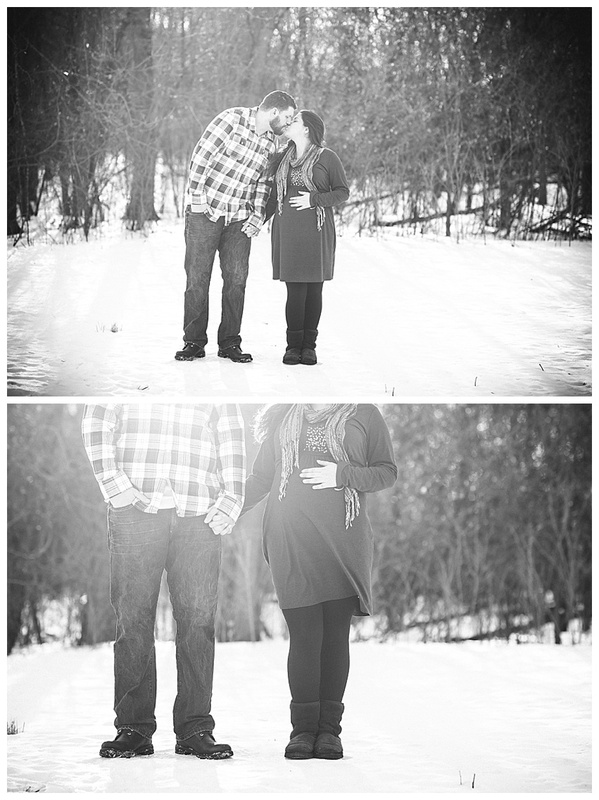 I hope you enjoy their session blog from their shoot at their home and the forest preserve. These guys where troopers, we had sub-zero temps and you would never know it from looking at them!